Home/PK Simpson Blog/What principles apply to falls on private property? What principles apply to falls on private property? The very nature of accidents means they can occur anywhere and at any time, but the laws surrounding such an event can change quite considerably. One area that many people aren’t sure about is what happens when they suffer an injury on private property. After all, there’s no shortage of incidents that could happen when you visit someone’s home or other private premises. 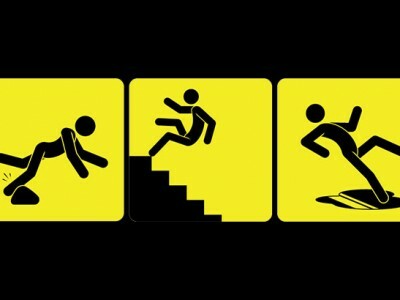 From tripping over loose paving slabs to falling from balconies, the risks are endless. Just because you’ve experienced an accident on private property doesn’t mean you should be deterred from pursuing the claim. There are legal safeguards in place to give the protection you need, and the compensation that you deserve. There was a notable case back in 1932, which had a considerable impact on how compensation is sought. This is when the neighbour principle came into consideration and it lies at the heart of how falls on private property are seen in the eyes of the law. What is the neighbour principle? Lord Aitken said when summing up the case of Donoghue v Stevenson in 1932 that people have a duty of care towards others when they visit their premises. “You must take reasonable care to avoid acts or omissions which you can reasonably foresee would be likely to injure your neighbour,” noted Lord Aitken. If you feel that this rule hasn’t been adhered to, then make sure you seek the guidance of a compensation lawyer. The occupier of the property is liable for any injuries you sustain under the neighbour principle and you may be entitled to financial reimbursement. If you have suffered an injury on private property – and believe the neighbour principle hadn’t been adhered to – then you might be able to make a claim. However, what you will need to think carefully about is whether or not there was an evident risk of injury at the time of the accident. Under the Civil Liability Act 2002, a property owner might not be liable if the likelihood of injury was obvious at the time. If, for example, a balcony had been cordoned off because it was deemed unsafe but you entered anyway, it’s unlikely that your claim will be successful. Just as a property owner is required to exercise caution, visitors are also required to do the same in the eyes of the law. PK Simpson has experience in helping people achieve compensation for falls in private property. If you want to pursue a claim, then get in touch with our team. 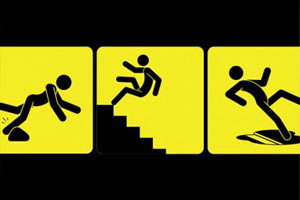 By PK Simpson Lawyers| 2019-01-31T05:51:12+00:00	August 28th, 2015|PK Simpson Blog|Comments Off on What principles apply to falls on private property?